Ripping Water: Life Update 30/10/12. Which is Witch, Some Girls, One on Young. Life Update 30/10/12. Which is Witch, Some Girls, One on Young. I am currently in Belgium. Specifically, Liege. The reason is because of an assassination gone wrong (Bruges is actually only about 40minutes away so, will have to visit it soon). I am here filming a series called Which is Witch, a show about a fairy and a witch that arrive in this dimension. It’s a pretty kooky and fun show. We have just finished rehearsal as well as the press photoshoot (I did a ridiculous amount of silly poses, an example being a teddy bear roll). It’s going to get insane as soon as we start filming so, I thought I’d throw the whole update thing in now, while I can! 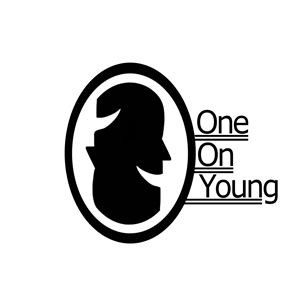 This blog will be about Which is Witch, Some Girls and a little thing about my brand new podcast series "One on Young" (out 6th Nov). All the photos provided about 'Which is Witch' are from the pilot by Patrick Robert. I improvised all down those stairs about my friend Kevin. This show is the pilot I did in Paris! I’m going to be working on this till around February 2013. During that time I will be filming 26 episodes, which is a lot of anything to be honest. We have 3 studio spaces to play with so the sets are huge and awesome! It's also being shot in 3d as well which added a different dimension to when I watched the pilot (I'm here all week, and the week after, and the week after, and the..). This is all a crazy experience as it was September 2011 that I had a casting for the show, so it’s been a long time coming. I just can’t wait to get stuck in. Especially as the scripts are fun and I have some great lines to deliver. I’ve also been given the creative licence to improvise at points, which is absolutely great and about 40% the reason why I had accepted to do the show. The producer has a very creative friendly way of going about things, which makes this whole process so much more unique for me and probably would be unique for about 55% of working actors (a lot of percentages I know but, I’m 44% sure that they are precise). My usaul face during filming. My character is called Gilbert. I know, pretty funky name (I would love his last name to be 'Greco'). He started off as a mainly nerdish bit role for every episode. Luckily the producer decided that what I had done with it was good enough (along with my usual contained extravagant self in castings) to develop him a lot more into episodes. He’s mega erratic and very much a genius (I invent so much crazy stuff in the episodes I’ve read so far!) but the defining quality is his motor-mouth quirky ways. He’s going to be fun to play around with over the 26 episodes, especially as I can impro! There is a song and dance in every episode because they are in a band but, luckily for society (and my impending “dance related” lawsuit), I won’t have to do much of that at all. I’m the band manager/roadie after all (how awesome is that!). I did want to have mutton chops and a denim jacket, but they wouldn’t let me. I’ve also asked to always wear a cape in every episode, but they weren’t keen on that or the Viking helmet (I genuinely have asked). The producer also allowed me (after I showed several hints of my keen nature towards the writing side of it) to let me sit in the writers meetings for the show. This, without going into too much information for this blog, has been invaluable. To watch writers who have been doing it for over 25 years has been a fantastic asset for a 20 year old aspiring writer like myself. I’ve learnt so much, from the writing process, the brainstorming and the necessity for group thinking and different eyes on ideas and projects. After a few weeks of doing these meetings, I have already changed loads of my older scripts which I had felt were put together eloquently (they really weren’t). I’ve also gained the title of ‘Junior Screenwriter’, which is a crazy honour! I never thought I would actually be in a show like this. I openly admit, I had reservations (I felt this way since I was 16). But just looking at the scripts, the fellow actors (who are fantastic) and the creative accessibilities I’ve been given, I can’t help but think “what’s not to like!” This is a perfect opportunity to hone my craft and get as much on set experience as possible (14 weeks of filming). I’ve never felt as if I’ve learnt/experienced enough so I’m going to grab this with both hands! All I need is for Josie Lawrence (a talented lady who was a big inspiration to do improvisation for myself) to be my Mum in the show and it’ll be perfect! I probably will find living here for such long periods (9 weeks in Liege, 2 weeks back for Christmas and new year then 6 weeks out again) quite difficult. Especially as I have such a great family and set of friends back home. I’ve only been gone for two weeks (from the time I wrote this) and I’m already missing them. I just wanted to say that I love you all and I can’t wait to see you when I’m back. If any comfort for those who may miss me, I’m having a great time. I’m finally doing something that I had dreamt about for years upon years, I’m waking up and acting. Some Girls (a show I did in February) will be out November 6th on BBC Three! I’m in the last episode, which is a right behemoth of a series ender! But, please do watch the first episode as it is a very funny show. The sneak peek is available here, give it a watch. Young”. These will be released from the start of Some Girls (6th November) and will be available to download for free from Itunes. Without giving too much away, this series has 7 1h average long episodes with my actor/creative type friends. It is filled with: Valuable actor information (an actors approach to a role, the way they think), strange/humorous talky times and the ‘2 Truths 1 Lie’ game. I’ve used the game as a way of the listener to get to know my guest and just the fact that it shows off some improvisation. It’s genuinely fun to listen to and I’m not just saying that. It was a really stressful and yet worthwhile thing to do and I can’t wait to be able to show you them all! Just for those who do visit this blog after the 6th, the link to my podcast is here! I love being this busy but, by god your gorgeous. This is great, you'll do really good in the show! When and where will the show air?